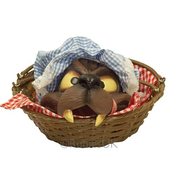 Availability: Last One In Stock! 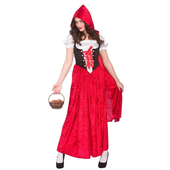 Deluxe Red Riding Hood costume is one of our higher end designer range. 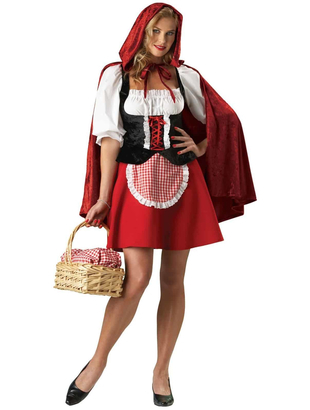 Costume includes a peasant dress with black top and read and white gingham skirt which has an attached apron. Front of the dress has a corset tie style but dress closes by zip at the back. 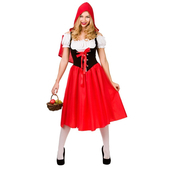 To complete the look there is a red hooded cape.